Having a signature scent is one of life's luxuries and makes you feel good, just as finding your favourite lip shade or your favourite foundation does. 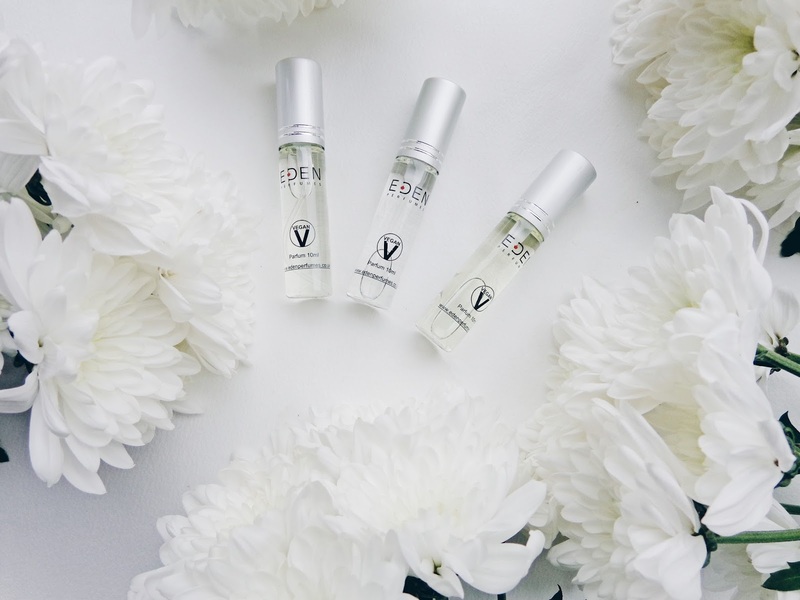 Perfume is one of those beauty essentials that in my opinion can really draw a whole outfit together, as well as enhance your mood if you choose the right one. Once you've spritzed your favourite fragrance, you feel ready for the day / night and officially in the right 'zone'. 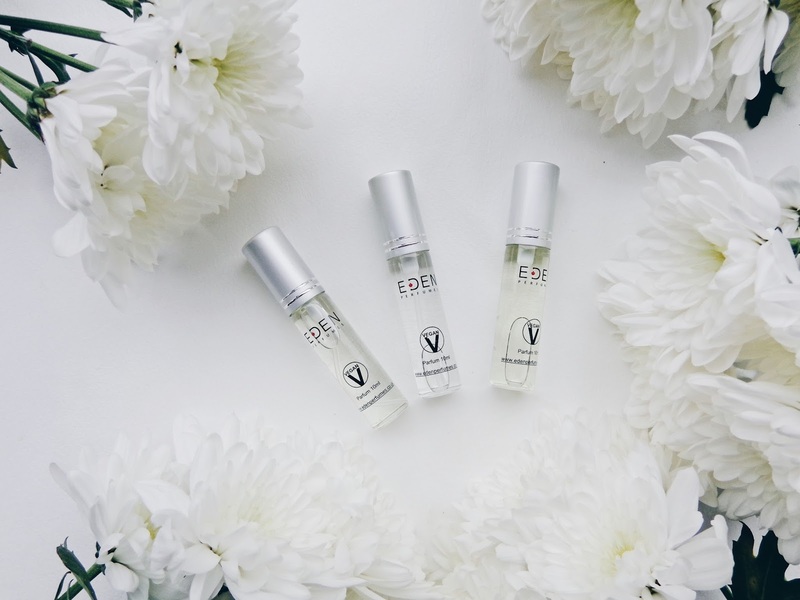 You may or may not already be aware that so many of the designer perfumes on the market are not actually purely made from plants and essentials oils, and are therefor not actually vegan friendly as they use extracts like musk in them for an earthy and deep aroma. Today so many of us are trying to be more conscious of the beauty products which we use and are opting to use cruelty free brands wherever possible as it is all round better for animal welfare, the environment and your conscience! 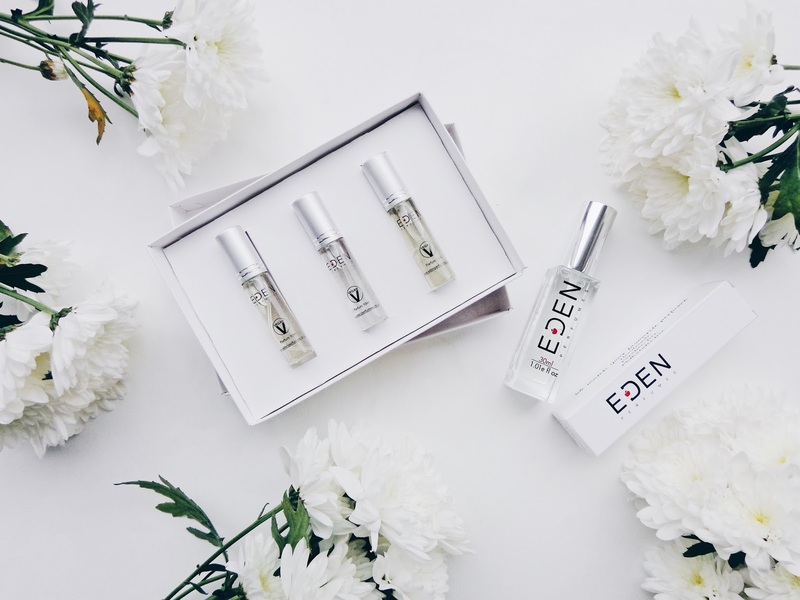 I have been trying out four delightful aromas by Eden Perfumes, who are ethical fragrance specialists whose perfumes are all 100% cruelty free and vegan certified. 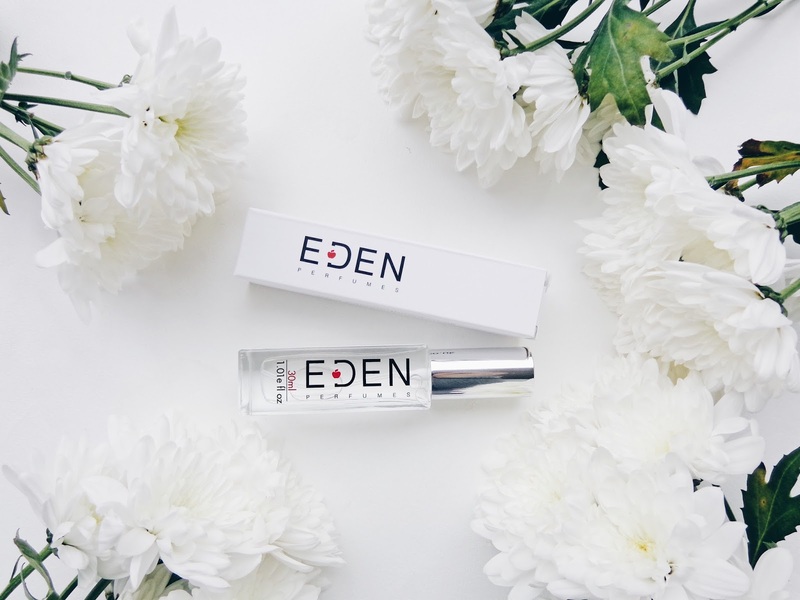 Eden Perfumes are currently located in the beautifully cosmopolitan city of Brighton and they also have a store in London on the ever fashionable Portobello Road. 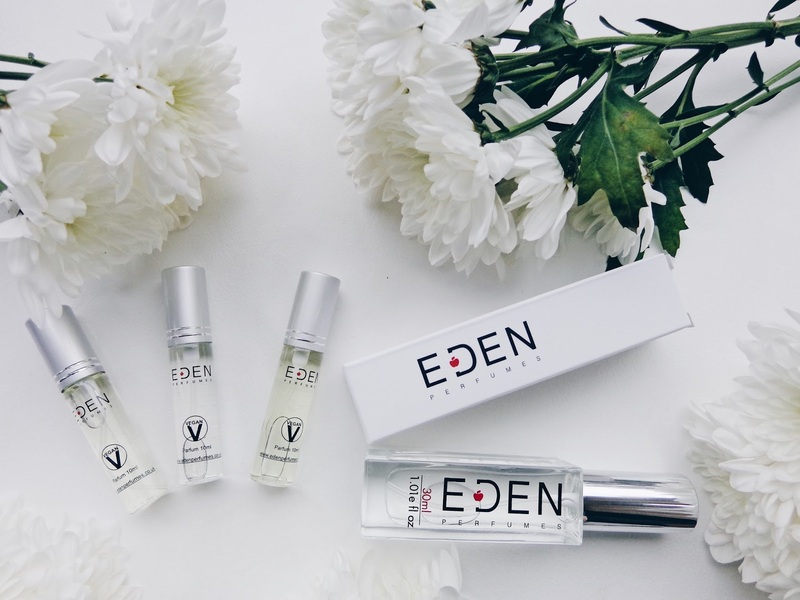 Eden Perfumes have a bespoke matching service which you can try out for yourself online. 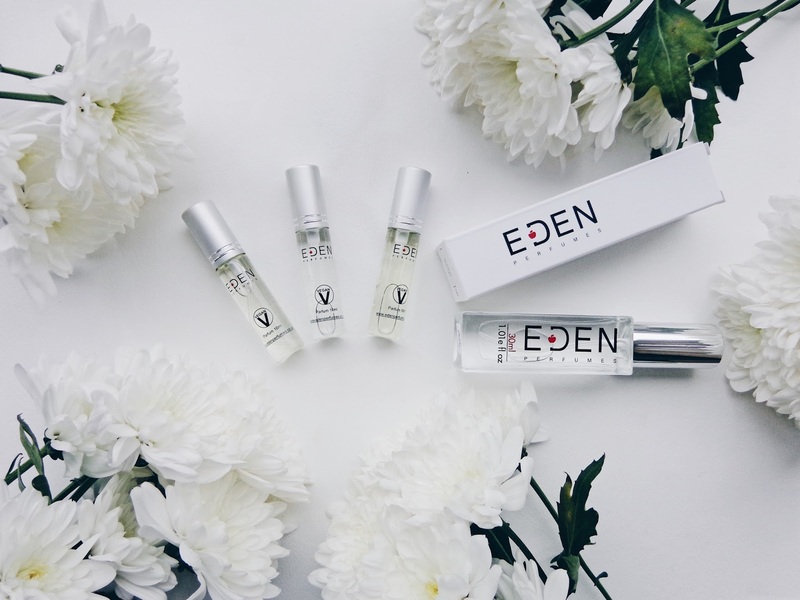 You simply go on to their website (you can check out the Eden Perfumes website here) and type in the brand and name of your favourite designer perfume., or simply the kind of fragrance you like. 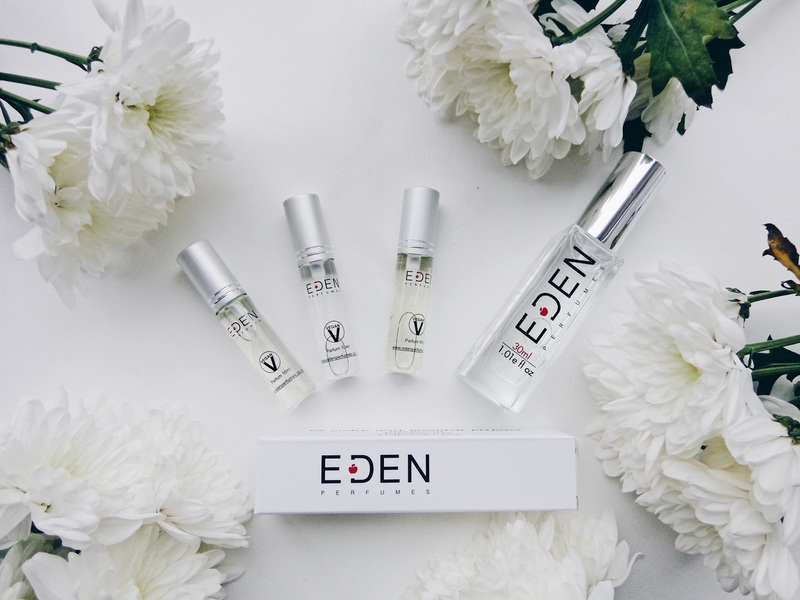 There are hundreds of fragrance variations arranged from fruity, floral and oriental for women on Eden Perfumes so there are loads to make you selection from. 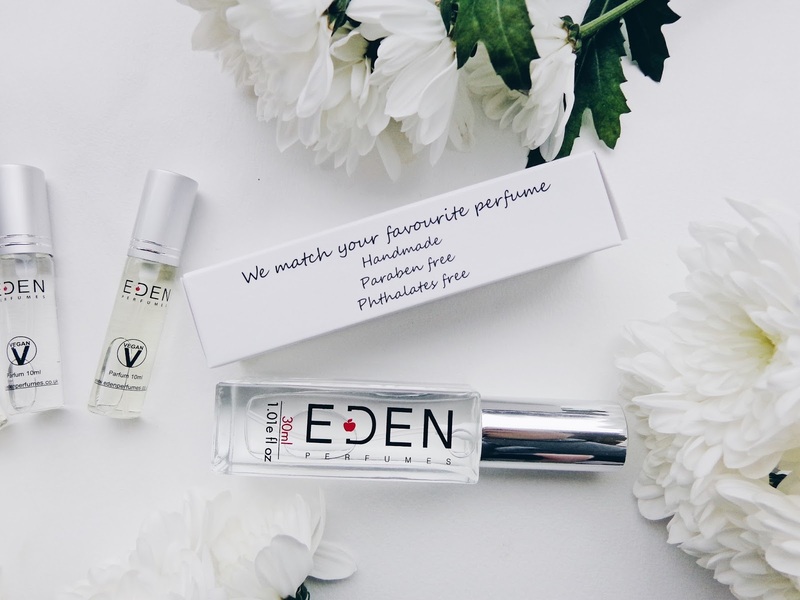 The matching service aligns your favourite with the best similar vegan fragrance match available and it also tells you what essential oils are making up the top, middle and base notes of the fragrance. Some of my favourite perfumes at the moment are J'adore by Dior, Armani Code and any of the oh so fruity and floral numbers by Escada. I received each of the vegan equivalents to these and let me tell you, they smell amazing and virtually the same as the originals. In fact, I think that when they have dried down, they actually smell better than the original perfumes because they are made only using essential oils and plant extracts, they don't get that somewhat dusty smell that some perfumes do where they all kind of end up smelling the same. These last all day and remain bright and fresh scented which I personally really love and would use everyday! No. 15 Adore Women has top notes of pear, magnolia, peach, mandarin orange and bergamot so it is fresh and awakening, yet sweet still as it has base notes of cedar, vegan musk and vanilla in it. No. 20 Skada Magnetism is a feminine fragrance which is perfect for evening wear and No. 68 Black Code Woman is layered with top notes of casis, verve and anise and it has fragrant floral middle notes of rose, magnolia and peony and base notes of taif rose. 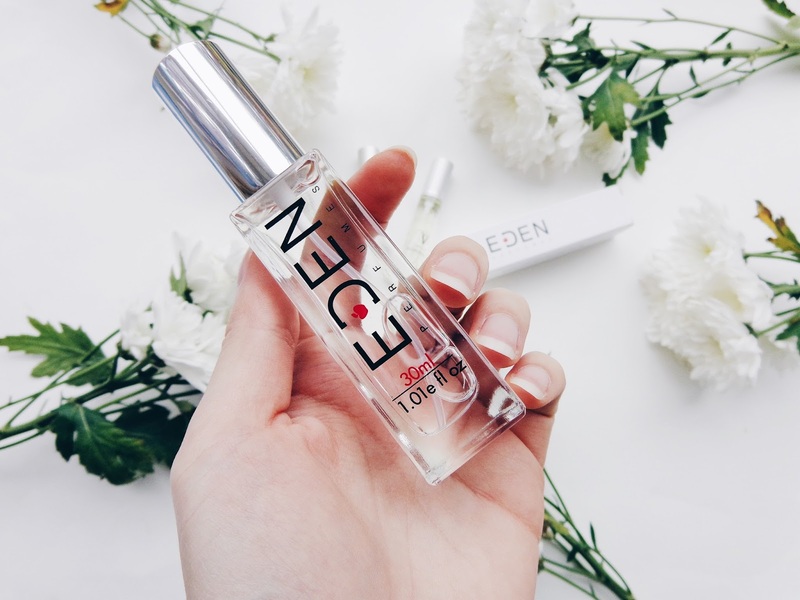 I also have a 30ml bottle of Eden Perfume's scent Portobello Road which is evocative of that very street and famous market in London where their shop is situated. This fragrance has the top notes of lemon and aqua so it is fresh and awakening, with middle notes of sweet English rose and sugar and base notes of cedar, vanilla and musk. This delightfully sweet and fragrant combination was inspired by the flower displays which are on show and also fried doughnuts which are served up as street food! A delicious and oh so authentic perfume representation of this part of the city! 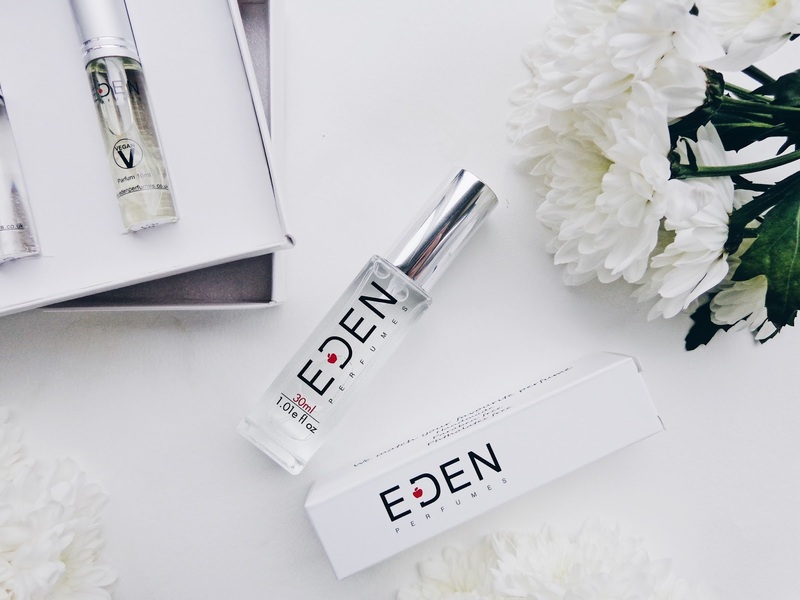 This blog post contains PR samples from Eden Perfumes. All views and opinions remain honest and my own. Do the bottles have labels on to say what perfume is in them? I smelled Portobello Road on a lady yesterday and fell in love!